This combo of a black velvet blazer and dark green chinos is very easy to do and so comfortable to sport all day long as well! You could perhaps get a little creative in the footwear department and spruce up your look with Linea Paolo cherie round toe pump. If you're a fan of relaxed dressing when it comes to your personal style, you'll love this totally chic combo of a black leather biker jacket and light blue ripped jeans. Amp up the cool of your ensemble by complementing it with Linea Paolo cherie round toe pump from Nordstrom. If you're on a mission for a casual yet absolutely chic ensemble, marry a dark green leather trenchcoat with dark green culottes. Both items are totally comfy and will look fabulous paired together. Sporting a pair of Linea Paolo cherie round toe pump from Nordstrom is an easy way to add extra flair to your look. For a casual chic look, pair a camel coat with a white sheath dress — these items go wonderfully together. 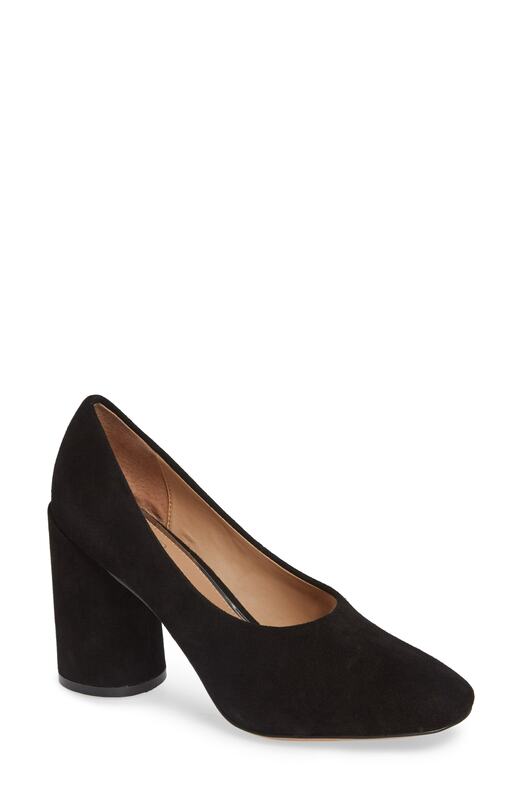 For the maximum chicness rock a pair of black suede pumps. If you're on the lookout for a casual yet totally stylish getup, consider wearing a black leather biker jacket and black leather skinny pants. Both garments are totally comfy and will look fabulous together. You could perhaps get a little creative when it comes to footwear and dress up your getup with Linea Paolo cherie round toe pump from Nordstrom. This pairing of a white sleeveless blazer and black and white shorts exudes comfort and efficiency and allows you to keep it low-key yet trendy. Sporting a pair of Linea Paolo cherie round toe pump is a simple way to add extra flair to your getup. If you're searching for a casual yet absolutely chic getup, wear a white crew-neck t-shirt with navy skinny jeans. Both pieces are totally comfy and will look fabulous paired together. Elevate this outfit with Linea Paolo cherie round toe pump. For an outfit that provides comfort and absolutely chicness, consider wearing a black midi dress. Amp up the cool of your look by rounding it off with Linea Paolo cherie round toe pump from Nordstrom.